Young Living products have helped people find natural solutions for a clean, more chemical-free home and body. This post is an introduction to oils and should answer some basic questions you may have. Watch This Is Young Living! So first of all, what is an essential oil? Basically, they date back all the way to biblical times. Frankincense was one of the gifts given to Jesus by the three wise men. Have you ever broken open the leaf or stem of a plant and seen the fluid come out? When you take the valuable fluid from aromatic plants that contains the plant’s therapeutic properties, and you super-concentrate it, what you end up with is an essential oil. Essential oils are extracted from trees, shrubs, flowers, stems, and seeds. The aroma of essential oils and the oxygenation they promote in the brain can help with wellness and support healthy systems of the body. How Can I Use Oils Safely? Always read the labels on a bottle of oil. Oils may be used aromatically, topically, or internally (Vitality Oils), and it is CRUCIAL to know which oils are used which ways! Let me restate…Always Read the Label. One other thing to note is that if you are pregnant, nursing a baby, taking medication, or have a medical condition, you should consult your physician before using essential oil products. What is Your Oily Story? Prior to my introduction to Young Living Essential Oils, I was a lover of candles, plug-ins…basically anything “smell good”. Also, back several years ago, my cleaning caddies were filled with all sorts of chemicals to clean the bathroom and other places in my home. I never thought much about chemicals until I found myself trying to hold my breath because of bathroom cleaners! During my first pregnancy, I really started investigating into the safety of certain cleaners and personal care products. Maybe your bathroom cabinets are overflowing with chemical products, or maybe you spend a small fortune on candles… I won’t mention any specific brands, but I know some candles are at least $25 each! The average American home has over 60 hazardous products. Antiperspirants, perfumes, toilet bowl cleaners, skin care products, makeup, air fresheners, and candles are just a few things that have been slowly affecting Americans because our bodies are not equipped to handle all the chemicals in products. So, I was drawn to essential oils basically because I wanted to rid my home of some of the toxic chemicals that are in so many of our cleaners, personal care products, and things like candles and air fresheners. More and more people are looking for wellness support and ways to take care of themselves before they need repair! While we can’t totally get rid of chemicals because it seems almost everything is made of them, I’m just trying to learn more about them, so I can use fewer of them when possible! And in some aspects, we just have to trust the Lord to protect us from some of these substances that are included in many of today’s products! By no means do we want to add more worries to our day, but at the same time, it’s good to be informed of things so we can make healthier choices when it comes to cleaners and personal care products. By the way, Young Living has amazing personal care products, and they just released the Savvy Minerals Makeup Line in 2017. I also want to note that when I refer to essential oils, I am referring to Young Living’s 100% pure, therapeutic grade oils. It seems that oils are all the rage right now, but Young Living has been around since the 90’s, long before essential oils became a fad. Young Living was founded by Gary Young, who has invested over three decades in the research and development of essential oils. The company uses state-of-the-art production processes to bring us the purest oils on Earth. They have a Seed to Seal process that maintains control of the entire oil production process including seed selection, planting, cultivating, weeding, harvesting, distilling, bottling, and shipping. Each essential oil is rigorously tested in-house and via 3rd party testing. They do not use harmful chemicals on their plants, and they welcome people to visit their farms and participate in the production process. Many companies label their products as 100 percent oil, but these oils are often made with fillers and synthetics because no one regulates what goes into the bottle. Oils purchased from your local health food store may be cheaper and even say natural or pure, but they do not undergo the Seed to Seal guarantee as the Young Living oils. Young Living is the largest worldwide grower, distiller, and distributor of therapeutic-grade essential oils, and has the reputation of providing some of the most pure and powerful essential oils available. So, any of the suggestions that I offer for oils are for Young Living Oils only. Watch this video to learn about Seed to Seal. Buy a Premium Starter Kit! Watch this video for an Intro to the Starter Kit. The way to get this PSK with all these amazing options is to join Young Living as a wholesale member. Becoming a wholesale member is not a scary thing at all, and you are not signing your life away. I promise! This starter kit is around $160 wholesale, and the retail value is beyond $300. Some of the kits are more expensive because the diffusers are fancier, but all the diffusers are great no matter the price. The kit includes 11 oils, a diffuser, sample oil packets, 2 NingXia Red packets, sharing business cards and bottles, a product guide, an essential oil magazine and newsletter, resource materials, and a wholesale membership that provides you with a 24 percent discount off retail for future orders! So after you buy the starter kit, any other amazing products (endless options beyond just oils!!!!) that you want to buy in the future are 24 percent off! This is a great deal. If you want to remain an active member, you have to make a 50 PV order within the next year. If you do not do this, your member status just goes inactive. 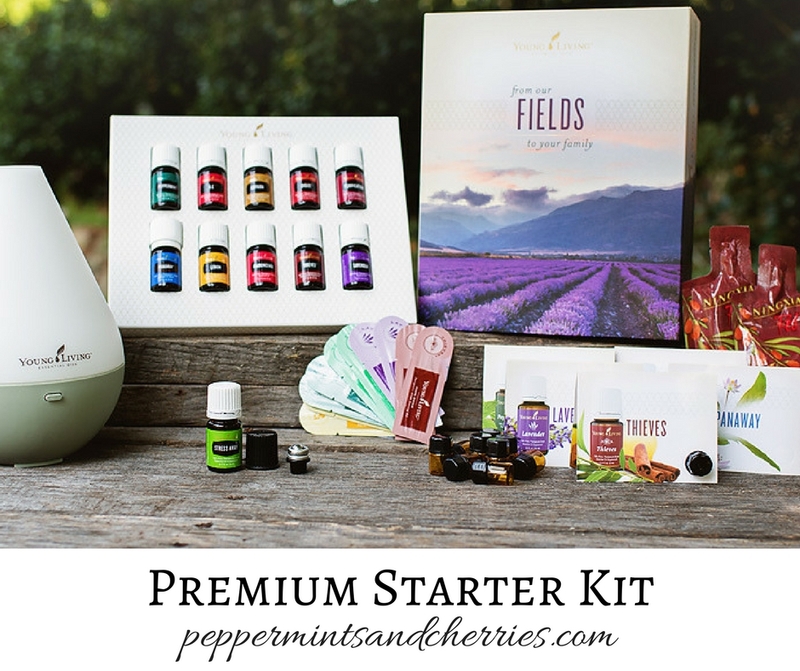 Here are Some Other Premium Starter Kit Options. 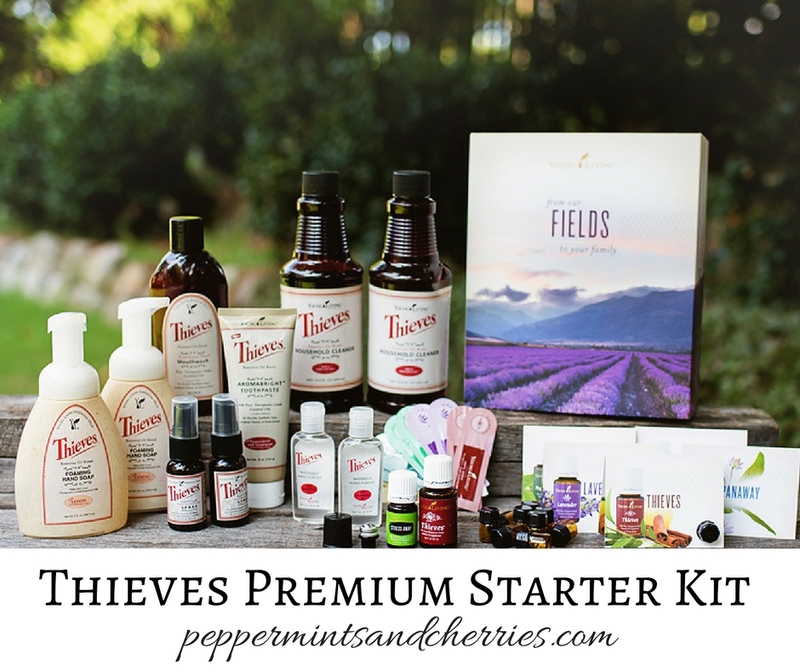 If the Thieves products interest you, you can sign up with a Thieves Premium Starter Kit. This Starter Kit is for those wishing to replace harmful chemicals in the home with powerful, natural alternatives. 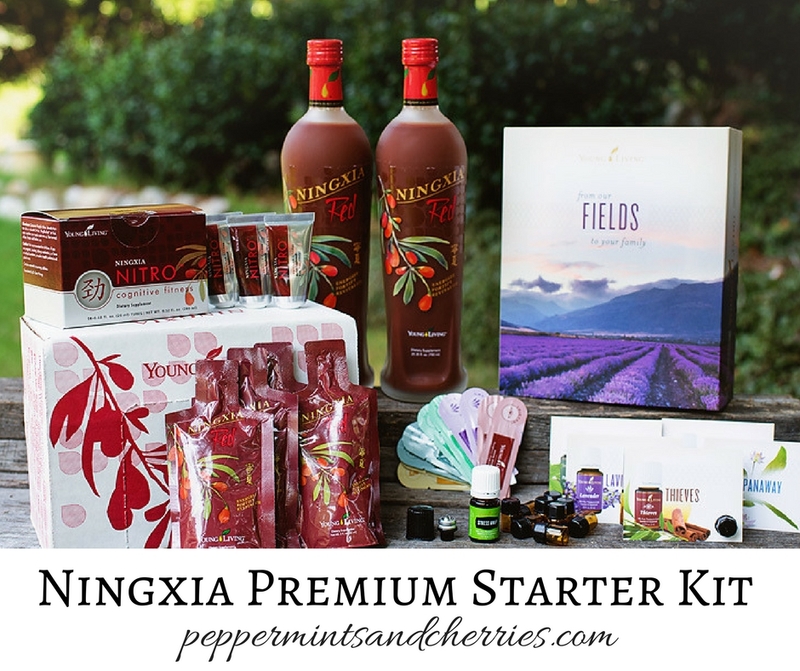 If the Ningxia Red drink looks appealing, you can also sign up with one of these starter kits. Click here to read more about NingXia Red.